ZTE turmoil is undoubtedly a profound education for China’s semiconductor and even the internet technology industry. Yesterday, Jingdong CEO Liu Qiangdong said publicly that the ZTE incident has hit all Chinese Internet companies with a slap in the face; Alibaba also recently announced the acquisition of Tianwei, a wholly-owned chip company, and invested in six chip companies. For a Time, it was necessary to “catch up with the power of the nation”, and the cries for catching up with the US chip industry were buzzing. However, we are determined to be very good. We should also fully understand the fierce competition in the semiconductor industry represented by chips. Recently, the island received a report entitled “Ensuring US Leadership in Semiconductors” issued by the US President’s Science and Technology Advisory Committee. Although the article was published in January 2017, it repeatedly mentioned it to China. Let us glimpse the logic of the United States’ “cutting off” Zhongxinghoulu to curb the development of China’s semiconductor industry. Since it is necessary to comprehensively criticize “China, then it must be famous. As a result, the article began to make a judgment: From a historical point of view, the global semiconductor market has never been a completely competitive market. The so-called imperfect competition is that there are institutional interventions. Sure enough, the article states that it is based on research conducted by the government and academia. Due to the consideration of national defense security, some of these technologies are highly restrictive. From this, the report concludes that the U.S. government should not remain silent or pessimistic in the face of the threat of China’s rise. In the process of innovation, the U.S. government should try its best to stop China’s destruction and influence. Look, what a serious accusation. Not to mention that there are no real hammers. Just look at this wording and this term, people feel very scary. If there is a sense of “pretty good” in front of it, when the report mentions the tactical part, it is naked in the fight against China. For example, it is obvious that the best way to win is to “run faster on your own,” but they still care about China: In the process of reducing China’s catch-up speed, we will face many temptations. 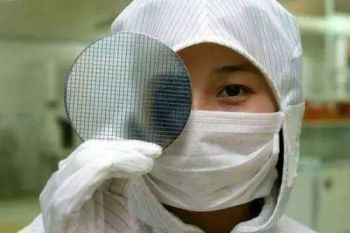 Once the United States ceases to innovate, China’s lead in the semiconductor field is inevitable. Therefore, the key to maintaining U.S. leadership is continuous innovation. In this regard, the United States can feel quite good about its own feelings: The United States advocates opening up global trade and investment. This position will benefit consumers and the global economy. China is more willing to invest subsidies in mature companies and industries and continue to help them. Growth and growth, and eventually excess production capacity, have caused the economy to suffer; China has benefited from the global opening, but seldom undertakes corresponding obligations. In many cases, China has hindered normal marketization. Not only that, the report has also come to a conclusion that is “very different”: Do not oppose China’s progress conditionally. How should that be opposed? The report suggests that the U.S. government needs to identify those special semiconductor technologies and companies, protect them, and refuse to make acquisitions to avoid possible security threats. Oh, the island sister finally knows why Ziguang’s acquisition of the American chip company has repeatedly failed. Even more ambiguous is still behind. The United States has many ways to limit China’s actions. This includes formal and informal trade and investment regulations, as well as similar CFIUS unilateral review tools based on homeland security considerations. It seems that these restrictions are still very significant. The United States should use defense security as a starting point for making relevant decisions. In certain fields, China should not give any possibility of negotiation, for example, China’s so-called “security and controllability” in the field of information technology. If Chinese enterprises receive government support and obtain advanced technology products from the US side and eventually push them to the consequences of overcapacity, then for our policy makers, we need to consider whether or not to accept China’s acquisition. Speaking of this, it seems that the United States will not move its decision to contain China’s semiconductor development. For us, recognizing reality and then pursuing it is a necessary step.